Living proof that if it looks good, it’ll fly well! There are a few airplanes that are nothing less than beautiful in flight. Never mind the paint job; any airplane can benefit from an artistically designed paint scheme. Instead, silhouette the airplane against a near-sunset sky, and you’re treated to a work of art. In general aviation ranks, the V-tail Bonanza qualifies as an outstanding aesthetic design and is one of the few airplanes that look good from the rear. The venerable Cub may be another winner. Then, there’s the remarkable Wing Derringer twin, the slick Meyers 200, the muscular Beech Staggerwing biplane, the speed demon Aerostar, and the Cessna Cardinal RG. That’s pretty august company for the little Cardinal RG. From its very inception, the Cessna model 177RG was a conscious attempt to create something unseen up to that time – a sporty Cessna, or, if you will, a Corvette to the company’s Chevy-sedan Skyhawk and Buick-solid Skylane. The basic Cardinal was designed in 1967 to be a futuristic, innovative airplane—built low to the ground, swept, slick, and faired to the wind. Indeed, Cessna was so impressed with its handiwork, they labeled the model 177 Cardinal the “Airplane of the ‘70s” when it was introduced in the late ‘60s. The 177’s immediate follow-on, the Cardinal RG, was an even more striking design, possessed of racehorse lines and an indefinable appeal that transcended considerations of performance, utility, and economy. Creating a new retractable to compete in the crowded 200 hp, high-performance class was a risky venture. There were already a number of airplanes with four seats, wheels that went to bed, and 200 hp, all produced by well-established manufacturers. Beech had the Sierra, Piper offered the very popular Arrow, Rockwell Commander was about to enter the fray with the Commander 112, and Mooney, the long-time sales and performance leader, had the Executive, Chaparral, and Ranger. You might notice that all the airplanes mentioned above are low-wings. On the surface, a high-wing retractable poses some interesting engineering challenges—most importantly, where to hide the wheels. You can’t very well tuck them up into the wings, unless you utilize thick, draggy airfoils, long, complex struts, and a truly stout (read “heavy”) retraction system. Long legs just beg to be side-loaded in crosswinds, are bound to demand more maintenance, may not allow much prop clearance, add to empty weight, and could compromise fuel tank location and quantity. But, what if you were to retract the gear into the airplane’s belly instead? Cessna, long a proponent of high-wing single design, demonstrated a long time ago that such tricks are possible. The 1959 Cessna 210 was the Wichita manufacturer’s first retractable single that folded its feet awkwardly (but effectively) down, back, and up into the bottom/aft fuselage. Eleven years later when it came time to hide the wheels on the swept Cardinal, Cessna adapted the 210’s basic electro-hydraulic gear system to the Cardinal—sans the troublesome main gear doors. Later, Cessna was to discard the Centurion’s pesky gear doors and their complex sequencing mechanism altogether. By sweeping up the wheels and adding a mere 20 hp, Cessna claimed an increased cruise of 24 knots, from 120 to a theoretical 144 knots. Hmmm. This made the Cardinal RG second only to the Mooneys in cruise velocity. Perhaps more importantly, however, the Cardinal RG expanded on a basic design concept Cessna hoped would become their pre-eminent, single-engine airplane, supplanting even the Skyhawk. In addition to offering the initial stiff-legged version and the basic retractable model, Cessna had also hoped to introduce a turbocharged 177 and a higher horsepower variation (240 hp). However, the company abandoned the idea of additional Cardinal models in 1978 in favor of a pair of retractable 182s—the Skylane RG and Turbo Skylane RG. 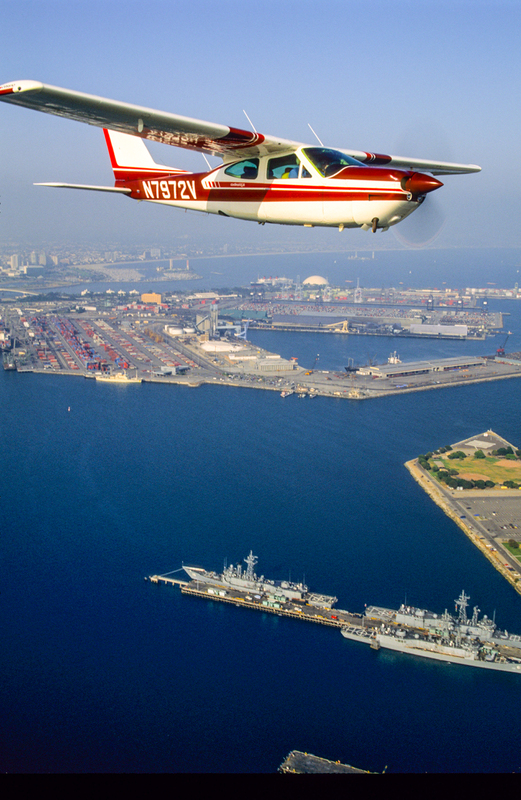 Cessna built an average of 170 Cardinal RGs during the type’s comparatively short eight-year production run. By today’s standards, 170 airplanes a year of any given model would be a roaring success—not so in the early ‘70s. The Cardinal RG incorporated a number of features not seen on previous Cessna models. The airplane was built low to the ground, with doors that opened a full 90 degrees. This was great for entry/egress, but not so wonderful when strong winds were blowing and could potentially warp the doors. Cardinals also employed an all-flying stabilator for pitch control, another mixed blessing that offered greater pitch sensitivity—perhaps a little too much response for some pilots. Early Cardinals were prone to porpoise on landing, so Cessna toned down pitch response with slots in the stabilator. Performance was typically good for a 200 hp retractable. That is, once you got the wheels stored in the aft fuselage recesses, a process that could take as long as 15-20 seconds on some airplanes. Standard climb was 800-900 fpm from sea level and cruise registered 142-143 knots at 7500 feet. With 60 gallons aboard and a burn of 10.5 gph, the Cardinal RG could endure for four hours plus IFR reserves, worth 550 nm between pit stops. Whatever your perspective on the success of the model, we’re left today with a group of airplanes that can represent excellent used buys. The 177RG is certainly among the most efficient of light, production retractables, and nearly every pilot would agree the shape is among the most recognizable in the sky. The late Roy Lopresti was one of those engineers who were constantly looking for ways to make a good airplane even better. The Cardinal RG became one of his targets a few years ago. The engineer traced his credentials all the way back to the ‘50s when man was first considering reaching for the moon, and yes, Lopresti WAS a rocket scientist! Roy worked for Grumman (a contractor to NASA) on the Apollo program, helping to design the lunar lander. He created the Grumman Cheetah and Tiger, went on to reshape the Mooney Executive into the remarkably efficient Mooney 201, then helped guide the Beech Starship through certification. In his later years, the elder Lopresti founded a company in Vero Beach that designed and fabricated more efficient cowlings for a variety of airplanes and created other speed mods. Lopresti’s overriding project was the Fury, a beautiful, slippery, two-seat sport plane with the handling of a fighter and the economy of a trainer. Sadly, brilliant design can’t trump a recession. Only one Fury prototype was ever built, and it’ll probably remain an orphan forever unless someone in the Lopresti family wins a really big lotto. In Florida, Lopresti also began modifying and improving cowlings on a variety of airplanes. One of those was Lopresti’s own Mooney 201. When he supervised the redesign of the Mooney Executive in the mid-70s, Lopresti was never totally happy with the cowling shape and function, but the need to “freeze” the design for production required him to stop experimenting with speed mods. Then, when he established his own company, Speed Merchants, he became the only arbiter of when a product was “ready.” As a result, Lopresti and his sons, Curt, David, and Jim, set about designing a series of cowlings for aircraft ranging from the Grumman-American Tiger to most Mooneys, Piper Arrows, Lances, Saratogas, and Comanches to the Seneca, Twin Comanche, and a half-dozen other designs, the latter including the Cessna Cardinal RG. In keeping with the company name, the primary goal on every model the family addressed was to decrease drag and improve speed. A secondary goal was to enhance engine cooling both during climb and in cruise. On the 177RG, the Loprestis found the Cardinal RG cowling was similar to that of the earlier, modified Mooney cowl. Both models used virtually the same engine, the 200 hp Lycoming IO-360-A1B6D/A3B6D, so the external cowling design could be nearly identical. “Just as on the 201, our goal on the Cardinal RG was six-to-seven knots of speed increase, hopefully with an improvement in cooling. We replaced all baffling with more durable material that tends to retain its shape. The new, carbon fiber cowling utilized oven-cured, fire-retardant, epoxy resin and incorporated a SCRAM (Super Clean Ram Air Module) feature similar to that used on the Mooney cowl. SCRAM delivers between ¾ and 1 ¼ inches of additional manifold pressure, depending upon altitude. “Inlets for cooling air were extended forward to come as close as possible to the back of the prop arc…and the contour and diameter of the inlets themselves were shaped to improve airflow thru the cowl. We were especially concerned with controlling cylinder head temperatures. Reducing drag doesn’t mean much if you’re compromising reliability by running the engine too hot. Retired Western/Delta Airlines Captain, Jim Honeycutt, of Mallards Landing, Georgia, lives the dream that so many of us would love to emulate. Jim and his wife, Sandy, also a pilot, live on an airpark and fly a Cardinal RG, the latest in a series of at least a dozen airplanes he’s owned in his 30-year flying career. Honeycutt purchased his RG slightly damaged in the mid ‘90s after a wood hangar collapsed on top of it. He and his friends rebuilt the airplane to near-showroom condition and decided to add the Lopresti cowling and Power Flow exhaust two years ago. In fact, Honeycutt was the launch customer for the Loprestis’ new Cardinal RG cowling. “Lopresti had an excellent reputation as a mod manufacturer, and I decided to try his cowling to see if it really would improve cruise performance and reduce cylinder head temperatures,” said Honeycutt. “I flew my airplane into the company’s Melbourne, Florida, facility, had them do all the work, and sure enough, the cowling did everything the company claimed. I saw a significant speed benefit from the combination of the cowling and the Power Flow tuned exhaust. Lopresti claims six-to-seven knots from the cowling, and that’s probably about right, as Power Flow delivers three knots more, and I saw a total of 10 knots cruise improvement with both mods installed.” Honeycutt explains. Sadly, Cessna’s “Airplane of the ‘70s” catchphrase for the Cardinal turned out to be a little too prophetic. The Cardinal design lasted just under a decade before Cessna phased it out to make room for the retractable Skylanes. 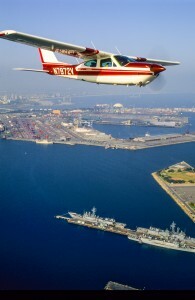 In total, Cessna constructed some 1,350 Cardinal RGs and terminated production with the 1978 model. Today, Aircraft Bluebook Price Digest suggests you can find used 177RGs for prices starting at $41,000 for the first 1971 models and peaking at $50,000 for one of the last 1978 airplanes in good condition. Don’t even consider snagging a primo example such as Jim and Sandy Honeycutt’s retractable Cardinal for that money, however. With an updated panel and all the mods, especially the Lopresti cowling, you’d probably have to pay at least $15,000-$20,000 more for a copy of Honeycutt’s airplane. But, consider for a moment what that’ll buy. You’d have the distinction of aviating in an aircraft that, at least, resembles a sport plane—even if it isn’t one. Plus, you might even be able to give Jim Honeycutt a run for the money! All specifications and performance figures are drawn from official sources, often the aircraft flight manual or the manufacturer’s website. Another reliable source of information is Jane’s All-the-World’s Aircraft. Specifications on older aircraft will not always agree, as different sources may publish different numbers.